Hi everyone! Sorry I have been AWOL this last week. Since the redesign of my blog, I have been working very hard on thinking of new, exciting and different things that I do, to keep you guys entertained, engaged and spangled! I have loads of exciting things planned - but as you can guess, sometimes ideas can take a while to process from mind to paper to what you're reading now. One of the thing I have came up with, is that on a Sunday, I will pick (or my boyfriend will pick) a polish out of my collection, to swatch & review! Maybe in about 10 years time, I should have a blog post & review for every polish I own haha! We shall call it... #SwatchySunday and welcome to post number 1. The colour I have chosen is nails inc - Pavillion Road. Full review, including video tutorial for my autumn tree is after the jump. Pavillion Road is a deep, rich red. It is the perfect autumnal shade, which is why I chose to paint an autumn tree as an accent. The pictures below, show the polish in all its glory, without my tree accent. Formula: Highly pigmented, and amazing density. 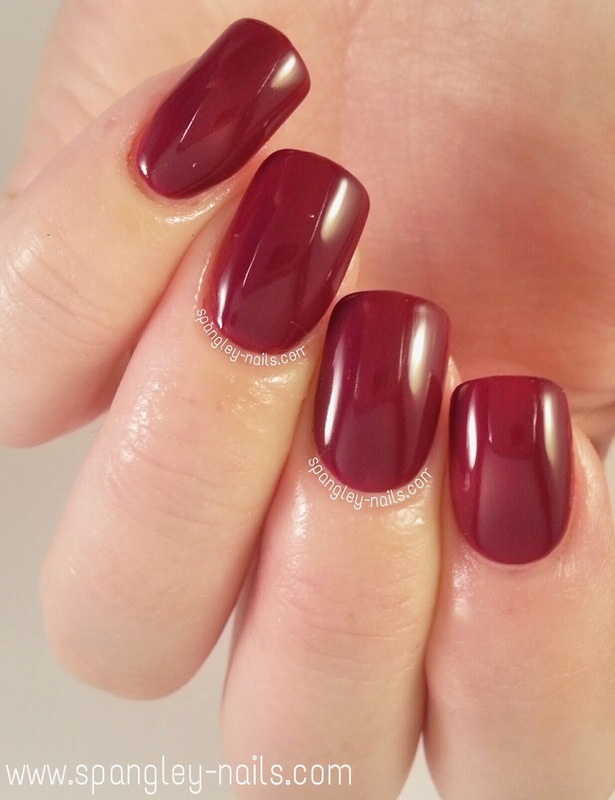 Once dry, usual nails inc glossy finish. Application: Flawless. Seen in all pictures is 2 thin coats and a top coat. 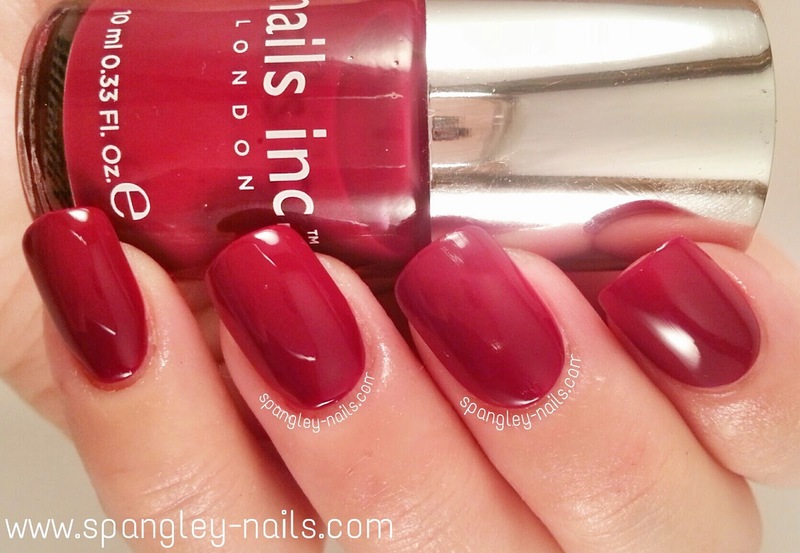 Additional Comments: Try to nab this polish from eBay (its no longer available from nails inc website), as this polish is amazing for Autumn & Winter - I can just see it with Red Glitter and a Christmas Tree accent nail.